Beth D’Ambrosio Crafts grew up on Long Island in a large Italian family where she learned early on what it meant to get along with others and have a sense of community. Her love of human nature and a desire to know what makes people tick inspired her to pursue a career in writing. She received a bachelor’s degree in Journalism and Communications from the University of Massachusetts at Amherst. After college Beth worked as a journalist in Manhattan for various business publications in the hospitality and fashion industries. Later she focused on direct mail advertising and public relations in Boston. She moved to the east coast of Florida in 1995 for a change of pace, bringing her back to the area where she used to vacation as a child with her family. She fell in love with her childhood memories of sandy beaches and her dreams of warmer winters. With little opportunity for writing positions, she pursued a career in education teaching middle and high school English for 16 years. In 2004, she met her husband, who was born and raised in Punta Gorda. After they married in 2006, the couple moved to the west coast of Florida where she continued to teach in Lee County. Beth’s love for helping others and her fascination with the natural beauty of Florida’s west coast drew her to Real Estate and she obtained her license in 2014. Because she understands the importance of working together to make things happen, Beth is active with the Royal Palm Coast Realtor Association. She has chaired the communications committee and has sat on the professional development and events committees. 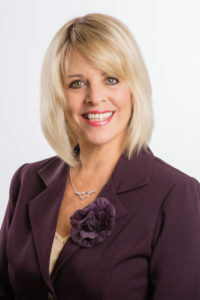 She is also involved in the National Women’s Council of Realtors for Cape Coral and Bonita Springs. When she’s not helping someone find the home of their dreams or find the right buyer for their current home, Beth enjoys gourmet cooking, writing fiction and reading historical novels. She also loves spending time with her husband. They enjoy kayaking through the many waterways of Southwest Florida, traveling through the Florida Keys and experiencing new restaurants and hotspots throughout Lee and Collier Counties.